You found somebody’s lost iPhone. They were cautious enough to enable a passcode, so you can’t root around in their contacts looking for the owner. If Siri is enabled, though, she can help you get the iPhone back to the right person. Hopefully, if you’ve found an iPhone, the owner has been clever enough to put that phone into Lost Mode using the Find My iPhone app. If they have, their contact info will be displayed right there on the lock screen with a link to call whatever phone number they’ve set up. 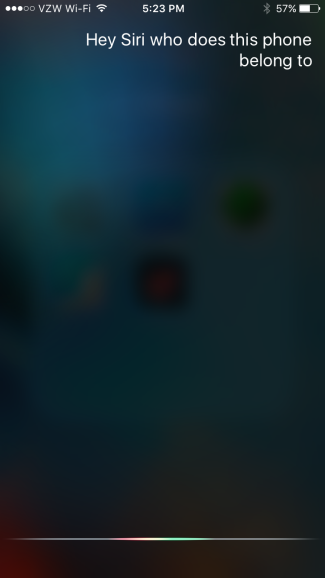 If not, Siri will come to your rescue. 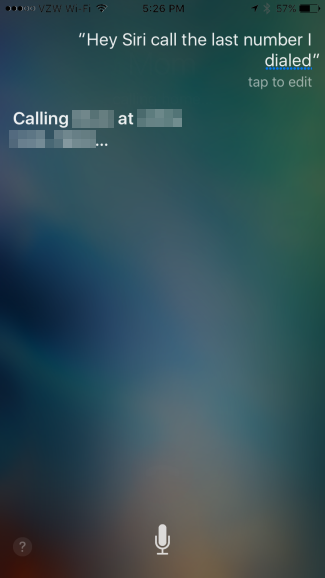 First, make sure that Siri is enabled while on the lock screen. You can invoke her by saying “Hey Siri” if voice access is set up, or by pressing and holding down the Home button for a few seconds. 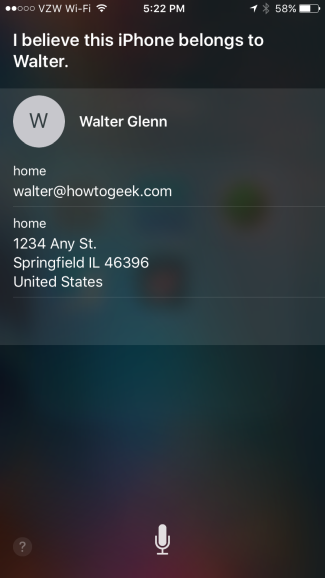 If enabled, Siri will respond with a “How May I Help You” screen and will start listening for your command. Siri will show you her best guess. Hopefully, the owner has been forward thinking enough to include enough contact details to get in touch. And if you own an iPhone, this is something worth doing yourself. If you don’t want your full contact details shown to anyone who happens to find your phone, consider setting up an additional contact with just enough information for someone who finds your phone to get in touch and then making it your owner contact. 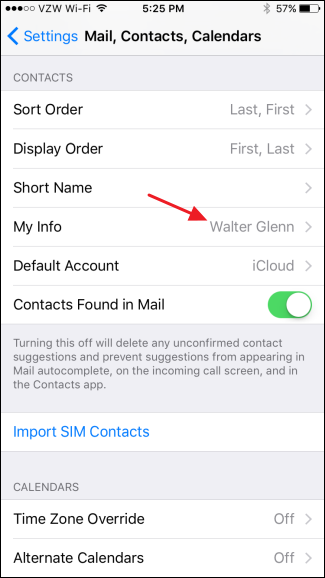 To do that, go to Settings > Mail, Contacts, Calendars , tap My Info and select your new contact. 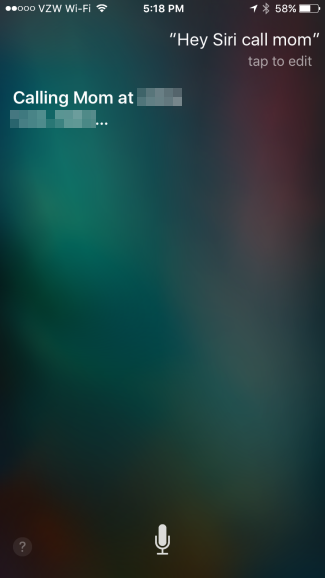 And if all else fails, you can try pulling out one of Siri’s other tricks that she can perform from the lock screen. Just tell Siri to “Call the last number I dialed” and hope that it’s the number of someone who can get in touch with the phone’s owner. 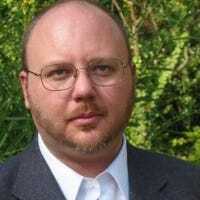 If you find an iPhone and the owner hasn’t put their phone into lost mode, but has locked it with a passcode, Siri can be a great help in returning the phone. If Siri isn’t enabled or you just don’t have any luck with her, there are a couple of other things you can try. You can leave the phone turned on (or charge it if you have an appropriate power cable) and hope the owner (or someone else) calls the phone. You can also take the phone to the owner’s carrier as a last resort. They can usually contact the owner for you if the serial number for the phone is registered with them.